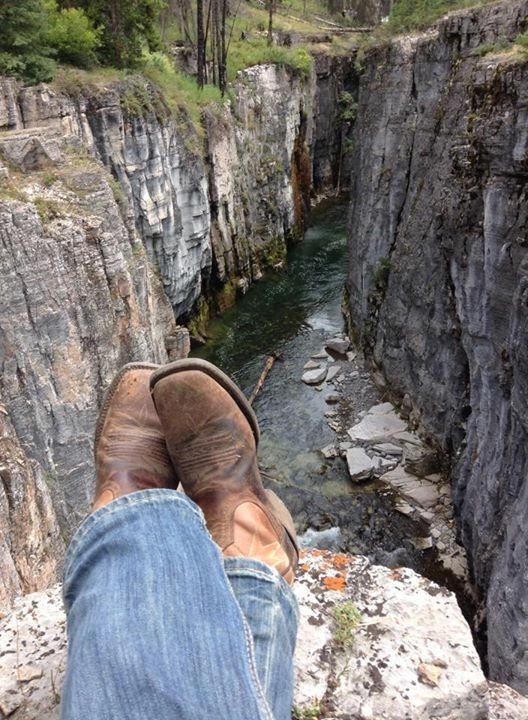 Explore the West in a whole new way. 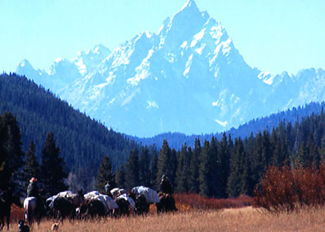 Book a Teton Horse Pack Trip today. 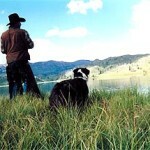 Located between Jackson Hole and Yellowstone National Park. 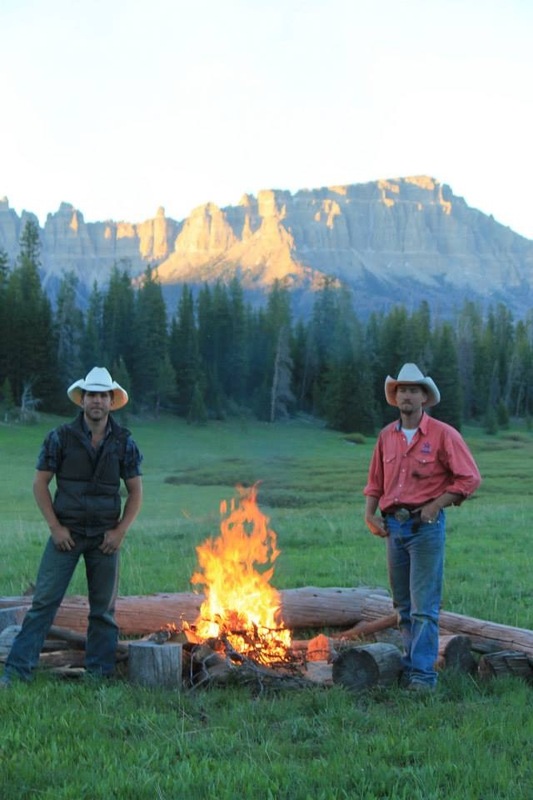 We invite you to take part in a Western experience that not many have the privilege to see. 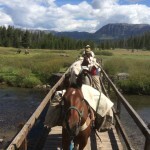 Teton Horseback Adventures offers 3 to 6 Day Guided Horse Pack Trips into the Greater Teton and Yellowstone backcountry. 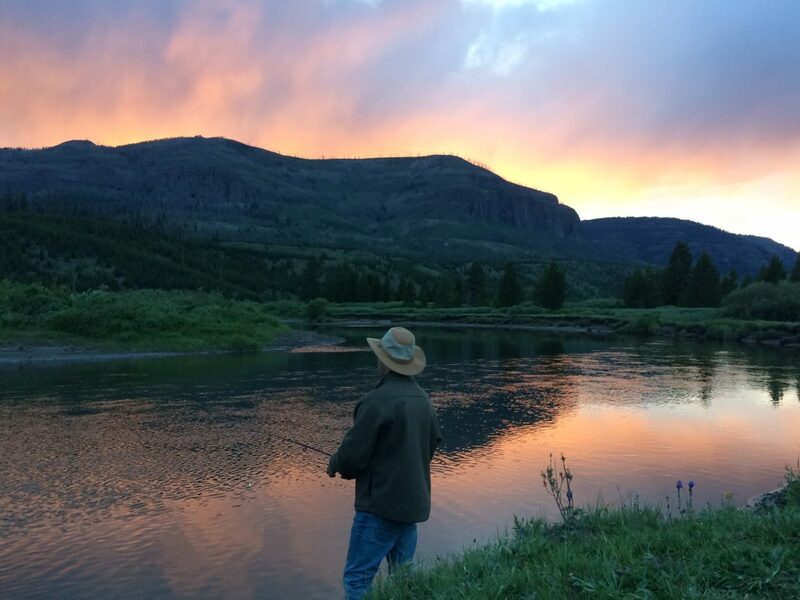 Our family heritage consists of six generations riding and working the Teton mountains and are one of the few local families still left here in the Jackson Hole area. We offer professionalism and experience to meet your expectations and create memories that will last forever. 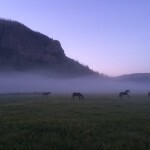 WE DO NOT LEASE HORSES! This is the secret to our amazing safety record. Each horse has his or her own personality, and matching these personalities between horse and rider make all the difference. 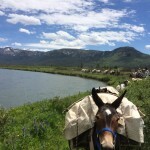 We own around 130 head of horses and mules, many of which we’ve raised and trained ourselves. So you can be assured they know what they’re doing (and yes we know every one of their names). 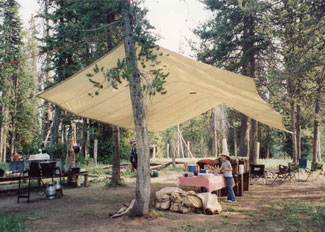 Description: The Cottonwood Camp is set up with 12’x 14′ canvas wall tents, wood stoves, and cots with pads. The 16’x22′ dining tent has tables, chairs, and everything to make it extremely convenient for the guests. 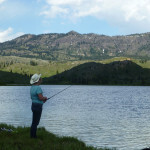 Spend your days fishing, hiking, and/or riding remote mountain trails. 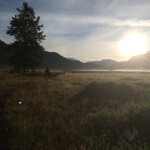 I just returned from a three-day, two-night pack trip to Cottonwood Camp led by Heith and Shalaina and could not be more pleased with the experience. Heith and Shalaina led our city-slicker group of 12 (pretty inexperienced) riders into the mountains with such grace and patience, and I can confidently say that everyone had the time of their lives. Cottonwood Camp was lovely. From what I gleaned from H&S, the camp is semi-permanent during the warmer (non-snowy) months and therefore didn’t require assembly upon arrival. Each tent was spacious enough to stand and move around in, and the cots and pads provided a comfortable sleeping arrangement! 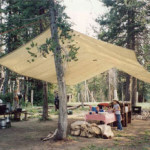 There is also a well-stocked kitchen tent where Shalaina would whip up feasts in the middle of the forest as if by magic. H&S packed enough food to keep us more than full the entire time–everything Shalaina cooked for breakfast and dinner (pancakes, baon, steaks, meatloaf, veggies) was delicious and filling. Shalaina also packed our group bag lunches for the three days we were on the trip which were a big hit. 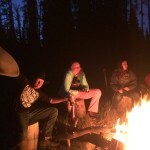 It was so nice to sit around the campfire at night with the whole group listening to H&S’s stories and learn about their lives in WY (Heith was also a very good sport when the group prodded him to give impromptu lasso lessons). 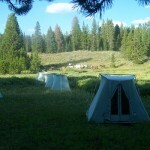 CAMP NEAR THE MOST REMOTE LAKE IN THE LOWER 48! 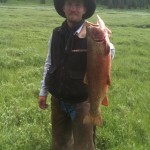 20 inch plus Yellowstone cutthroats! 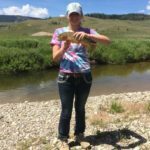 Great trip for families or fishing buddies! 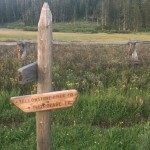 I chose Outfitter Heith Hill because I didn’t just want to take a trail ride in the Teton Wilderness (Don’t get me wrong, they do great trail rides too. ), I wanted a Wilderness Adventure and by God he delivered just that. 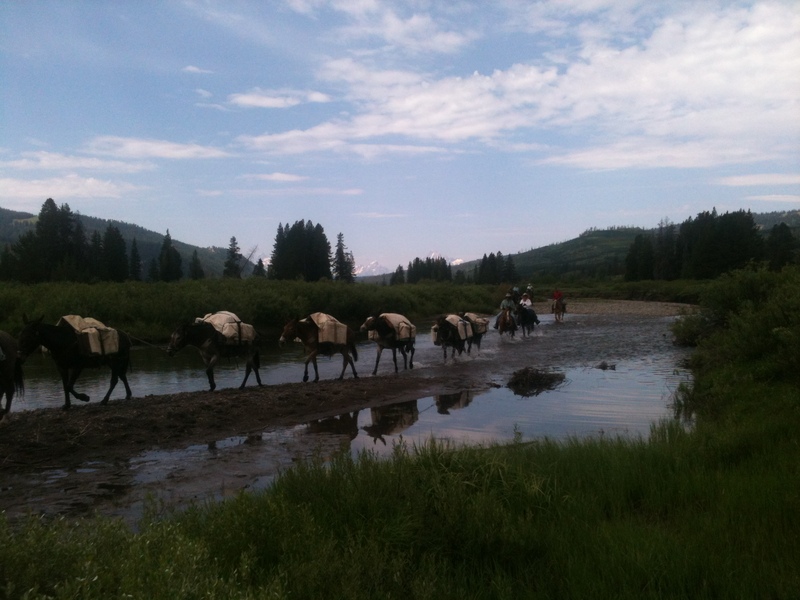 For five days, he took us with a string of pack mules and horses across countless streams, meadows, and through mountain passes with views so spectacular not even a camera can capture the full awesome beauty of it all. 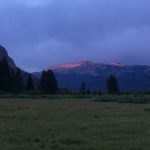 Each night we dined by an open campfire and the next morning struck out on the trail to another destination more breathtaking than the last. 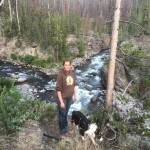 At one point, we were in the most remote location in all of the lower 48 states. Nowhere else could I have safely enjoyed the pleasure and experience of refilling my drink bottle from spring-fed mountain streams. Before this, I have always looked at pictures and read about such scenic vistas as this but seeing unspoiled country firsthand like this was far grander than I had ever imagined. 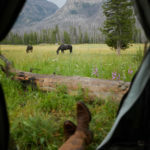 Teton Horseback Adventures is the real thing. 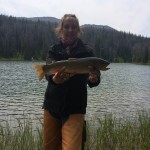 If you want to discover some of the beauty and wonder explorers like Bridger, Powell, and mountain men and trappers extolled there was to see out west then the Teton Wilderness trip is what you want to plan for. It’s the journey of a lifetime. This review is the subjective opinion of a TripAdvisor member and not of TripAdvisor LLC. 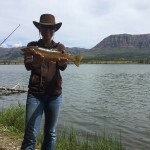 All trips are inclusive except for personal items, sleeping bags, fishing rods, and fishing license. All prices may vary depending on group sizes and trip lengths. A deposit of 1/3 total balance is required to book, we do accept personal checks for deposits. Call or email us with your questions, we are looking forward to hearing from you. We are an equal opportunity service provider. 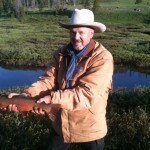 We operate on Bridger Teton National Forest. ￼We did the one-hour ride first thing in the morning and had such a great experience that we returned the next morning for a two-hour ride. The first day we had the the guide all to ourselves and our boys (9, 14, & 16) loved the faster pace. The second day we had two other people in our group so it was a little more leisurely, but we loved the creek crossings and the amazing views. 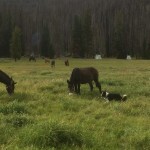 All of the horses in our group were easy to handle. Our 9-year-old had no difficulties at all. It was a treat having the dog running and splashing alongside us on the two-hour trip. We would definitely go back again. Went on the Kodak Hill (2-hour) ride with the family. We arrived without a reservation, but as advertised, we didn't need one. Plenty of horses and wranglers available. We were ready to go in about 15 minutes. 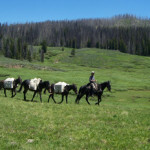 We had never gone on a trail ride before, but the wranglers chose great horses for us and gave clear instructions. Our guide was knowledgeable and friendly, and we stopped several times along the trail as he pointed out local landmarks. 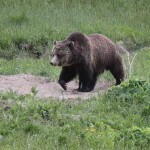 We had some good views of the Tetons from the trail, and even got to see a bear in the woods (Thanks Duke!). We had a great time. Our ride and the view from Little Pulpit was beyond our expectations! Our guide, Greg, was so patient with one of my daughters who had never been on a horse. Everyone we dealt with was friendly and sincere. I couldn't have asked for more. 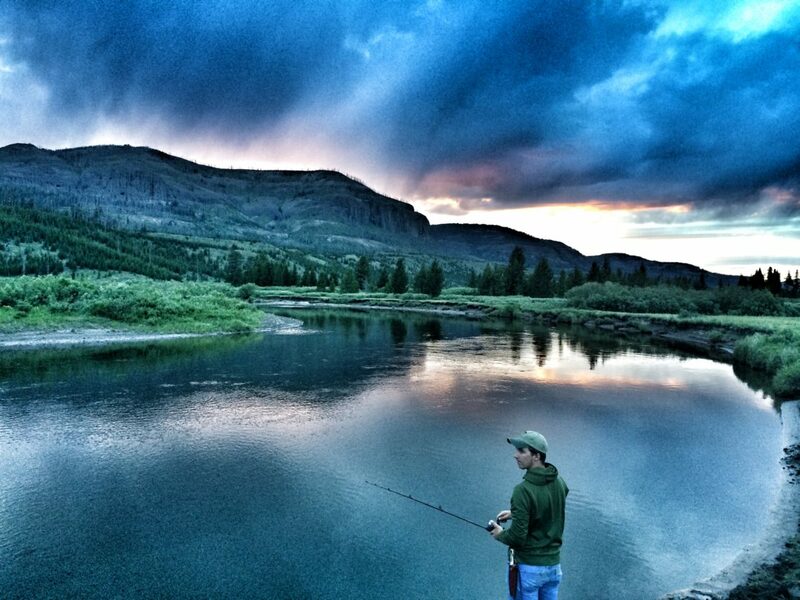 If you're looking to really get out in the backcountry this is the place for you. My husband , daughter and I went on the 3 hour pulpit ride this morning. 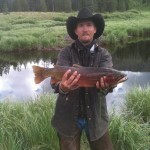 We have ridden with 2 other outfitters in Jackson and this one is by far the best! The ride is varied. 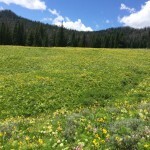 You cross creeks, climb hills, ride through trees and gorgeous fields of wild flowers. Our guides were very mindful of safety, checking our gear frequently. I highly recommend these outfitters! 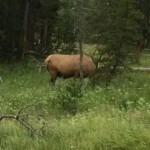 There are 8 of us that make a trip to GTNP every year (us parents have been going 22 years). We have 3 adults and 5 kids (ranging in age from 10 - 18). We found this jewel of a place 3 years ago and have made a point not to miss this the last few years. We just returned from our most recent trip and I want to give the Hill family and their staff kudos. Always such an enjoyable experience. ￼The four of us, myself, wife, and two teenagers had a lot of fun on a two hour trail ride. Two hours was plenty for us novice riders. The wranglers and guide explained everything we needed to know before and during the ride. The horses did what they were suppose to do, just keep pace with the others in single file. Beautiful scenery! 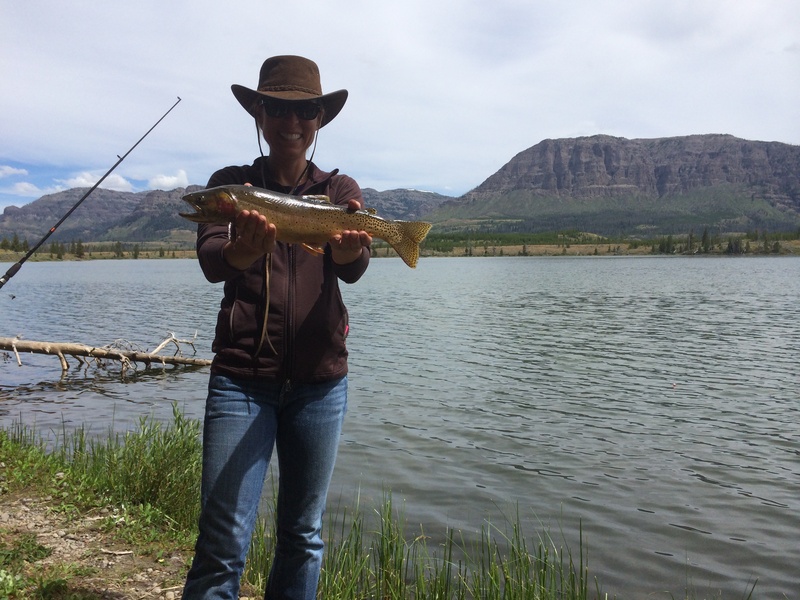 ￼We had a wonderful day in the Tetons with a fun guide. We went on a 3 hour ride the first day and enjoyed it so much that we went on another 3 hour ride up to Big Pulpit 2 days later, 9,000ft! Great views and our horses were very responsive, well taken care of and surefooted even though we were going up steep terrain at times. I like the fact that we didn't need reservations. 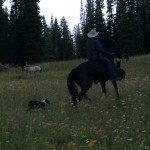 ￼We have done trail rides before but this was the best so far! We went on the little pulpit ride. 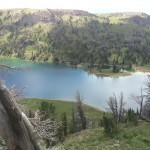 We crossed the snake river numerous times, ran up hill trails, had awesome views and all around, just a wonderful time. Our teenagers loved it.